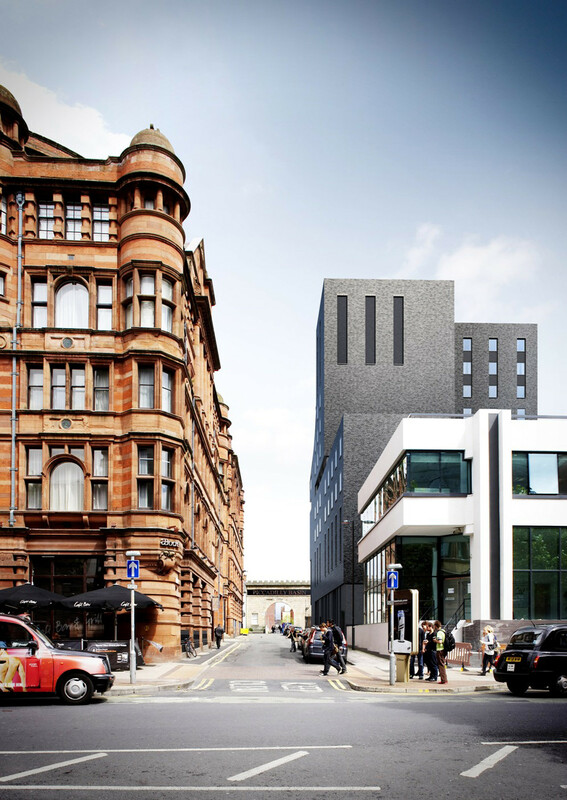 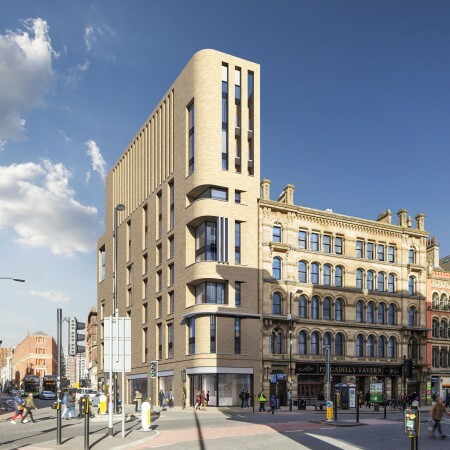 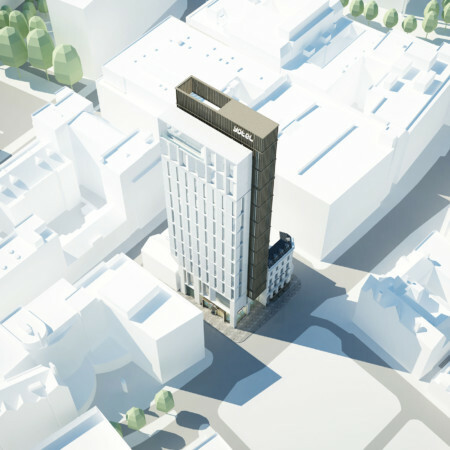 Proposed new build hotel in the centre of Manchester to provide 193 rooms over 11 upper storeys of accommodation. 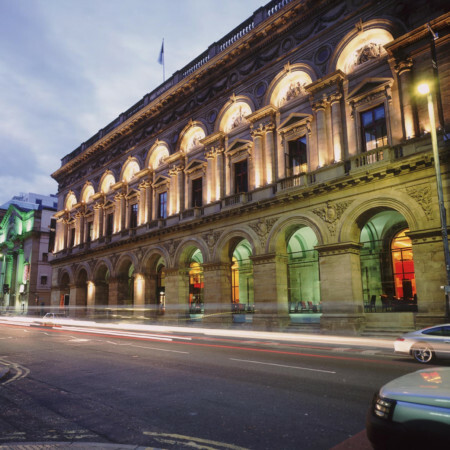 Associated services and front of house facilities are located on the ground and basement level providing both a connection/relationship with the public domain on the street and views through and over the canal. 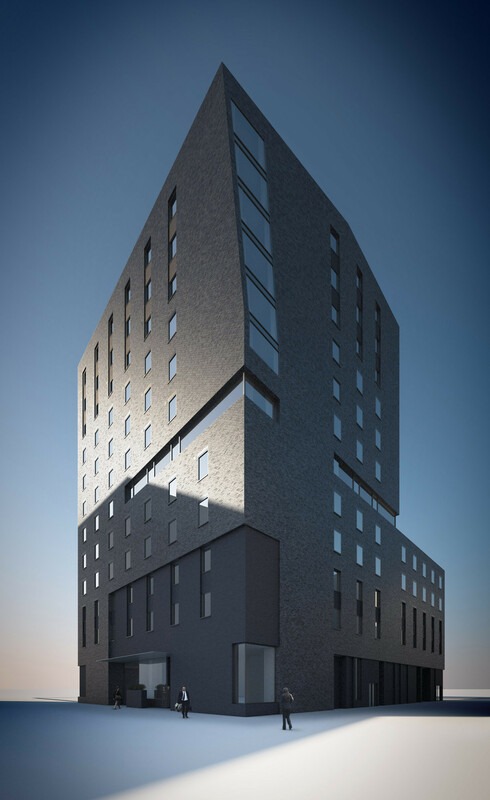 The concept is based on a solid mass that has been formed and carved away, both relating to the urban context and to minimise the visual impact of the hotel. 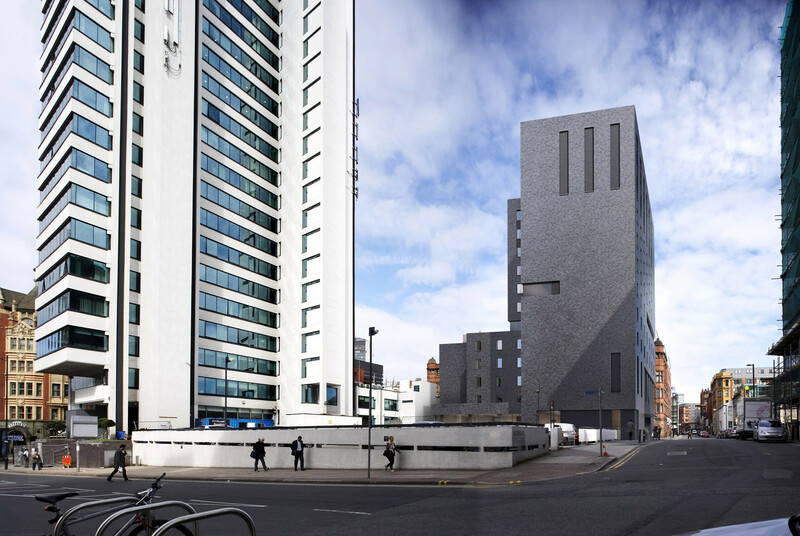 The carving of the mass has been implied with the use of a different material, which provides a subtle variation and interest to the treatment of the facades.